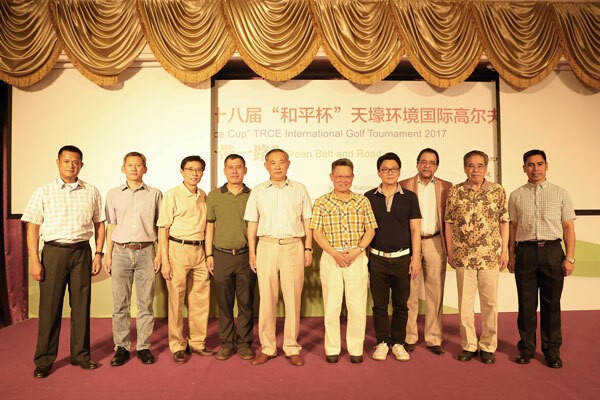 The 18th “Peace Cup” TRCE International Golf Tournament has been successfully held at Beijing Honghua International Golf Club on June 16, 2017. The Tournament was sponsored by: Beijing Association of Enterprises with Foreign Investment, Beijing People’s Association for Friendship with Foreign Countries, Beijing Association for Trade in Services, China World Peace Foundation, Belt and Road Official Website of china.com.cn, and Top Resource Conservation and Environment Corporation. 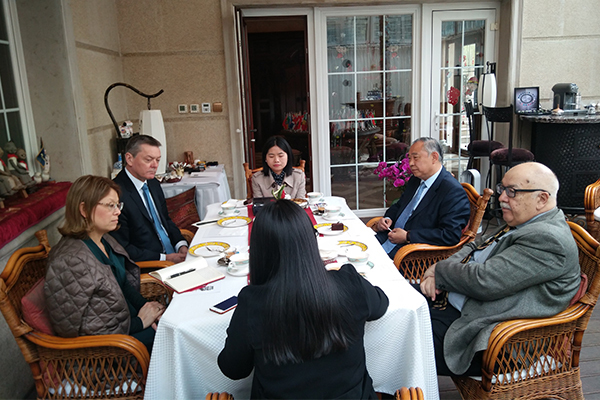 And it was co-hosted by Beijing International Peace Culture Foundation and Peace Garden Museum. The theme of this year’s tournament is Green “Belt and Road”. 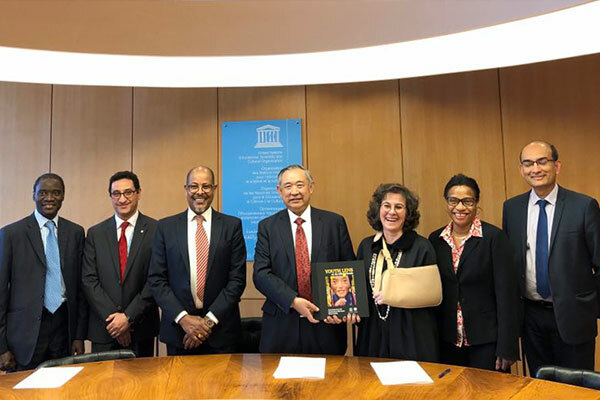 Hundreds of guests, including diplomats, heads of transnational enterprises, representatives of international organizations, and celebrities at home and abroad, attended the event. Mr. Sha Zukuang, head of The Chinese People’s Association for Friendship with Pakistan (former UN Under-Secretary General), and Dr. Li Ruohong, representative of sponsors, delivered remarks at the Award Dinner. They both mentioned that at the present when the world is undergoing rapid changes, the fact that we were able to enjoy such a peaceful scene where players celebrating friendship and sharing fun of sports shows a great contrast. 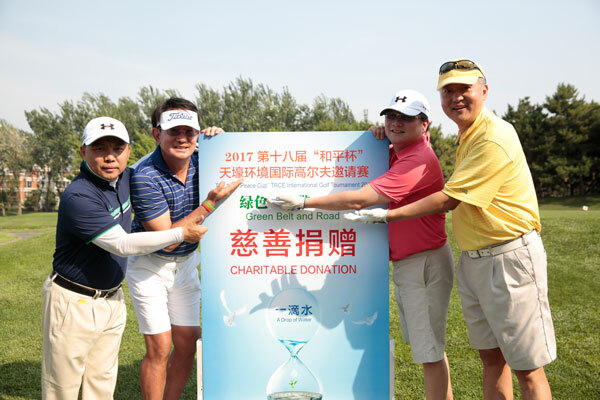 China World Peace Foundation has hosted the Golf Tournament for eighteen consecutive years. 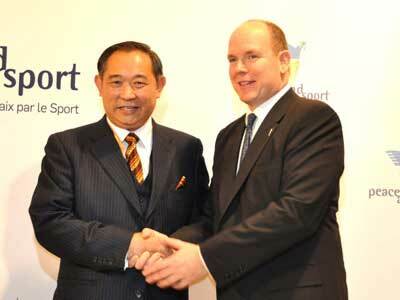 Now, this traditional program has become a flagship for civil diplomacy and a brand of sports for public good. All the previous tournaments have themed on “Peace+1”. 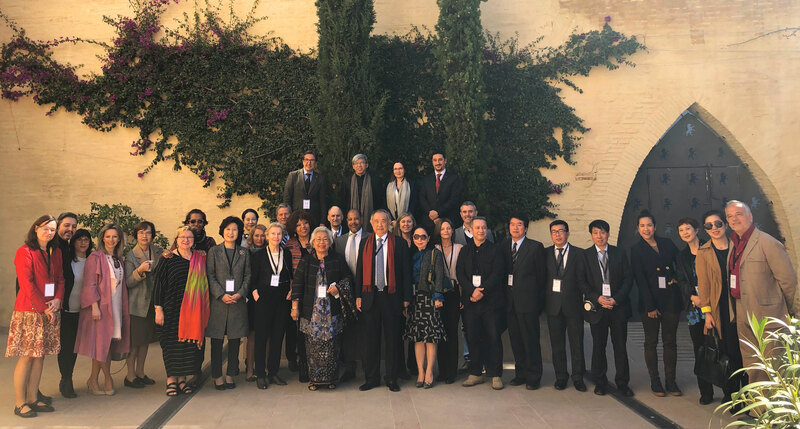 This month, the foundation, together with UNESCO, has initiated the Peace Garden Declaration, which outlined the Interactive Cultural Atlas along the Silk Roads. 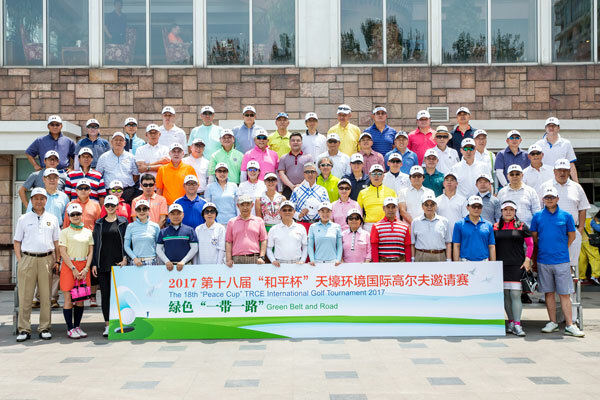 The foundation welcomed players from all countries to contribute in the historic cause of building people-to-people bond by jointly building the Green “Belt and Road” and making Beijing more prosperous. 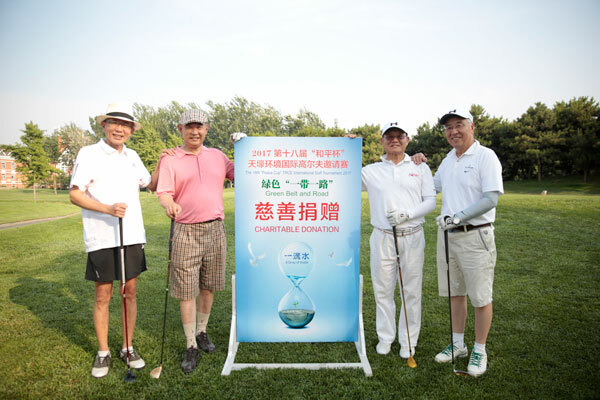 As a continuation of its tradition, the organizing committee set up charity holes and a donation box at the tournament to advocate for an environmental protection project – “A Drop of Water”. It is impressive to see lots of players actively making donations. They hoped that this special public welfare fund would be used on building the Green “Belt and Road”. At the award dinner, diplomats presented awards for prizewinners. Players from around 30 countries conducted heated discussions centering on global governance, taking targeted measures to help people lift themselves out of poverty, culture exchanges, Beijing Winter Olympics, and subsidiary administrative center. Ma Fei, famous singer, presented a beautiful song – Nessun Dorma. A piece of fascinating violin music and a passionate Latin dance added to the atmosphere and brought the event to a climax.